Welcome to the tutorial about SAP SD Copy Control. This tutorial is part of the SAP SD training course. You will learn what is the copy control in SAP SD, how to use it for copying of data between documents in SAP, and difference between the header and item levels of the copy control. SAP SD Copy Control functionality allows to define which information will be copied from the source document to the target document. 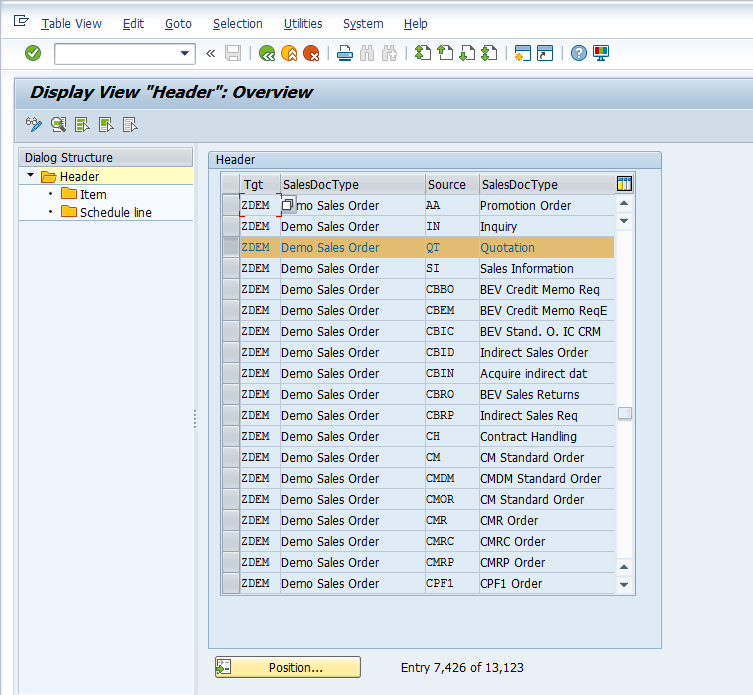 SAP SD Copy Control is configured at both Header and Item levels. At the header level, you define which source document can be copied into which target document and at the item level you define copying requirements with regard to the item categories. If the document flow between documents is missing, the system will not be able to copy information from one sales document to another one. 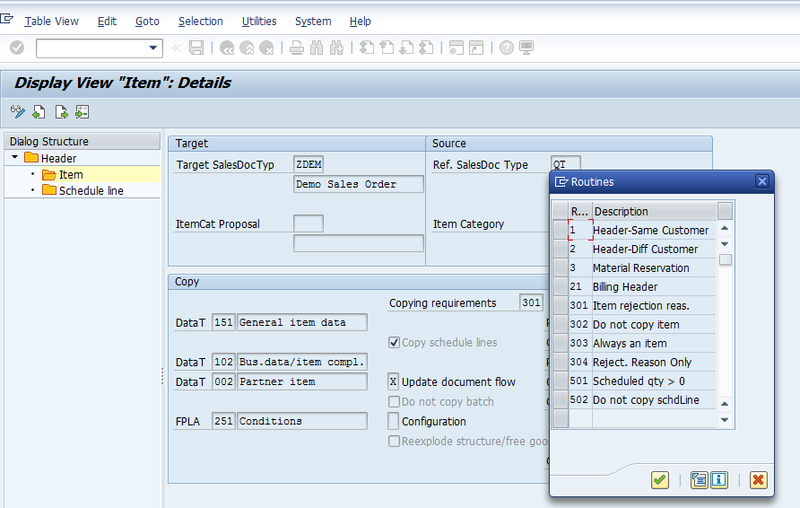 Example of document flow is creation of a sales order with a reference to a quotation. In this case, the quotation is a source document and the sales order is the target document. How to Configure SAP SD Copy Control? In the pop-up window, let’s choose Sales to Sales Document. This activity can also be accessed directly using the transaction code VTAA. To view settings of SAP SD Copy Control at the header level for a particular sales document type, select the relevant line and double click on it or press button in the toolbar. 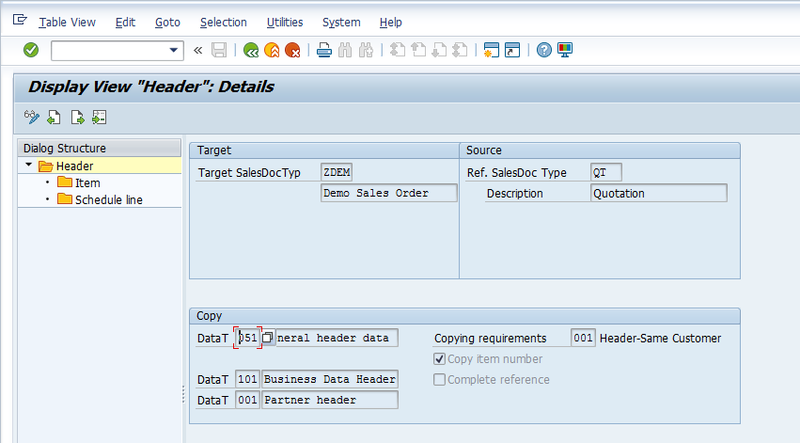 Here you can see the header copy control where the target document is sales order type ZDEM and the source is quotation type QT. 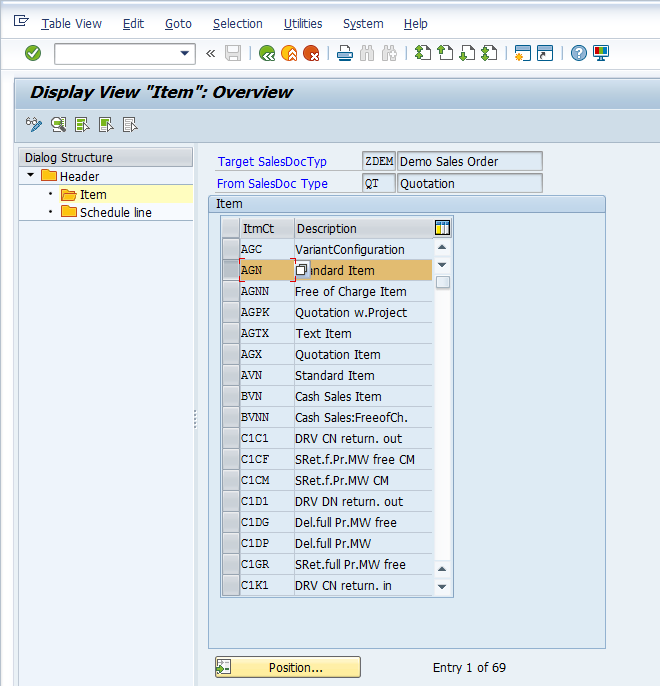 This means that the sales order type ZDEM can be created by referring to quotation type QT. The Copy section of the configuration screen contains copying requirement which are routines (programs) provided in the standard SAP system. These routines can be customized for any special business scenario with the help of an ABAP developer. The copying routines selected the left-side fields are related to business data transfer. For example, general header data, business data and partner data. These identifies a routine that checks whether certain requirements are met during the transfer of data from these fields to target document during copying. On the right side, copying requirement allows to perform certain checks. The routine checks that certain requirements are met when one document is copied into another. For instance, if any of the line items is rejected in the source document, this document should not be copied into the target document. 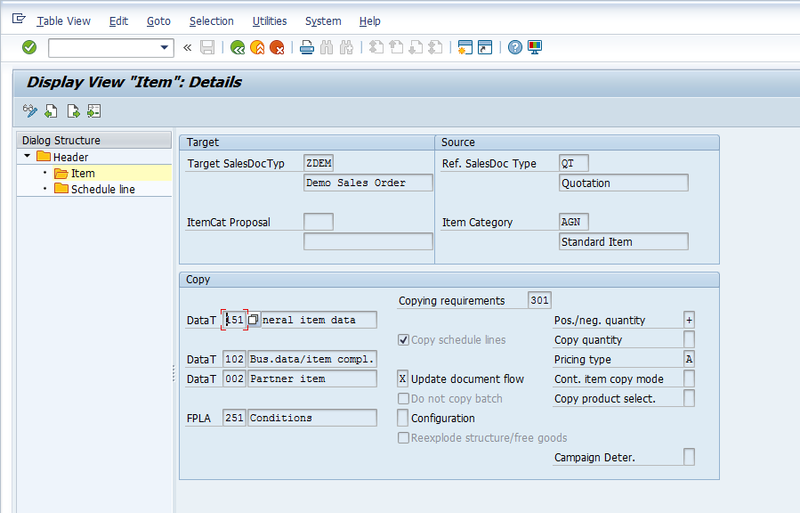 Now, let’s have a look at SAP SD copy control at the item level. To do it, click on Item icon in the left sidebar. 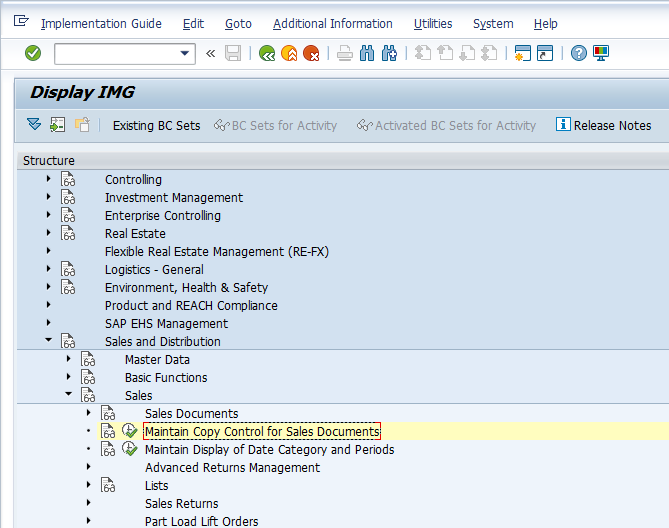 The SAP system will show you the list of tem categories maintained for target and source sales document types. Select the item category for which you want to maintain settings and double click on it or press button on the toolbar. Here at the item level you can see routines that will work during copying of items data. There are many standard routines provided by SAP but if there is any specific business requirement not covered by the standard routines, a customized routine can be developed with the help of an ABAP programmer. Similar to the settings for the header level of copy control, you can set a number of different routines for performing checks and transferring data during copy of one sales document to another. In addition to routines, there are also several indicators. 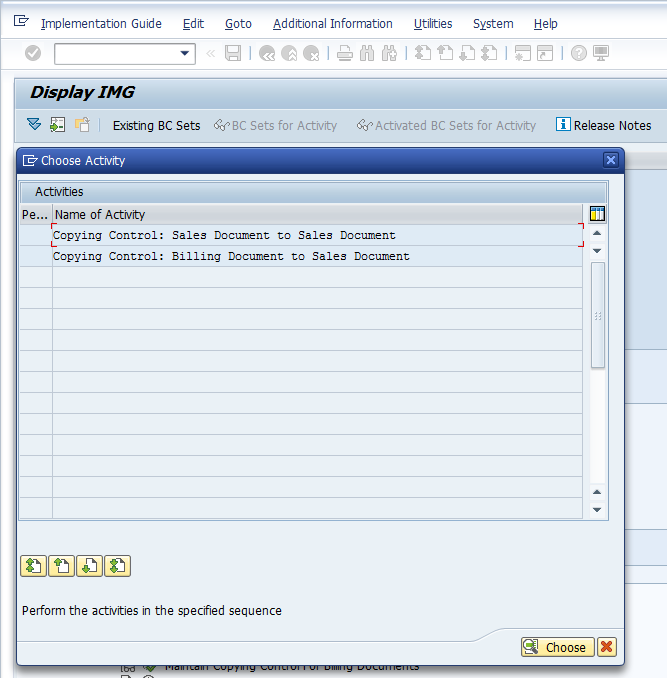 Copy schedule lines: this check shows whether the schedule lines from the source document are copied to the target document. Update document flow: defines if the system will create new entries in the document flow when new target documents are created with a reference to the source document. Do not copy batch: this checkbox enables you to control copying of batch number(s) from the source to the target document. Pos./neg. quantity: this indicator defines whether during copying the quantity in the target document has a negative, positive or no effect at all on the quantity still to be completed in the source document. Copy quantity: The quantity that is copied in the target document. The system can either determine it automatically or copy order quantity or copy target quantity. Pricing type: This option defines whether the pricing to be re-calculated every time when the target document is created with a reference to the source document or if re-pricing should not run and it should be copied from the source document to the target document as it is. There are also additional rules which are provided in the standard system. When you work with configuring copy control it can be tiresome to navigate using SPRO menu. Luckily, there are direct transaction codes for starting the configuration of SAP SD copy control for different areas. For your reference, they are listed below. We used Delivery related Billing and the Copy Control works fine for the Sales Order # setting in the Reference field as “B” Sales Order number and Copy Requirement ‘ 003’ Header/dlv.-related. However, for Returns I need to have the Return Sales Order Number as Reference but if I use the same setting ‘B” Sales Order number and Copy Requirement ‘003’ Header/dlv.-related, I get also the original Sales Order Number in my Credit Invoice for the Return. Any advise other than to have an ABAP Developer to code our requirement?